You see a tweet… or Facebook post… and it makes you so mad. So what do you do? STOP! You may be in the grips of The Outrage Machine. You know people are trying to manipulate you in the 2018 elections. But what are they trying to make you do exactly? And how can you stop them? NJ 11th for Change is a grassroots coalition whose activism pushed the chairman of the House Appropriations Committee to not seek re-election despite winning the 2016 election by 19 points and having held the office for 23 years. This piece of advice is proved by the organization’s co-Executive Director, Elizabeth Juviler. 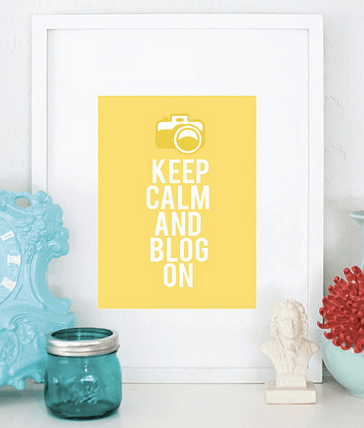 As you blog for your group, you’re trying to keep your members engaged. Yet you also have limited time. Using pre-existing formats can help you blog faster since so you don’t have to start with horror of a blank page. These 9 types of blog posts below can serve a variety of topics and causes. The steps to their creation, as well as examples from some of the best nonprofit blogs, are included in the slideshow. Focus on Mission: Keeping your content focused specifically on your organization’s cause and mission.